“Give us Barabbas!” you shouted. Give us the filth, the vice, the darkness. The Light is standing right there. He is ready to surrender His very life for you. You want to hold onto dark and give up the Light? You want to eat from the trough and forego the banquet table? We want to stay down here in the mud, in this pit, in this pain. We want to stay in rebellion. In distraction from the Truth. Away. The Way, The Truth, The Life, is led. To what seems like a snuffing out of the Light. Light, though, will not be snuffed. It draws you in with its warmth. Jesus burst out of that grave, conquering King! And why did we choose Barabbas again? When we could have had eternity. When we could have had the Light. “Which of the two do you want me to release to you?” asked the governor.“Barabbas,” they answered. 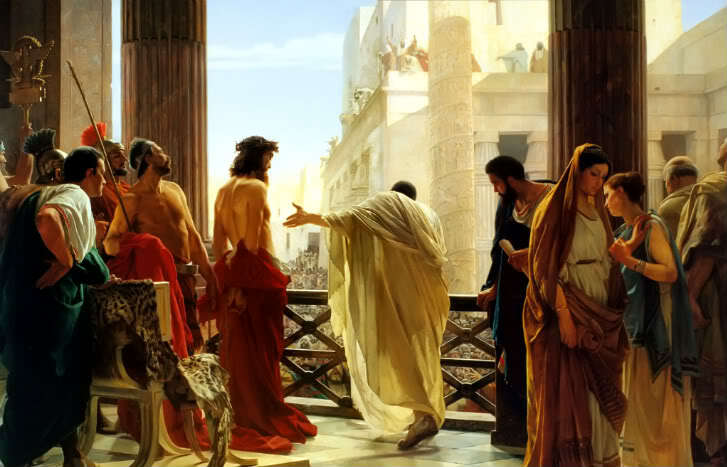 “What shall I do, then, with Jesus who is called the Messiah?” Pilate asked.